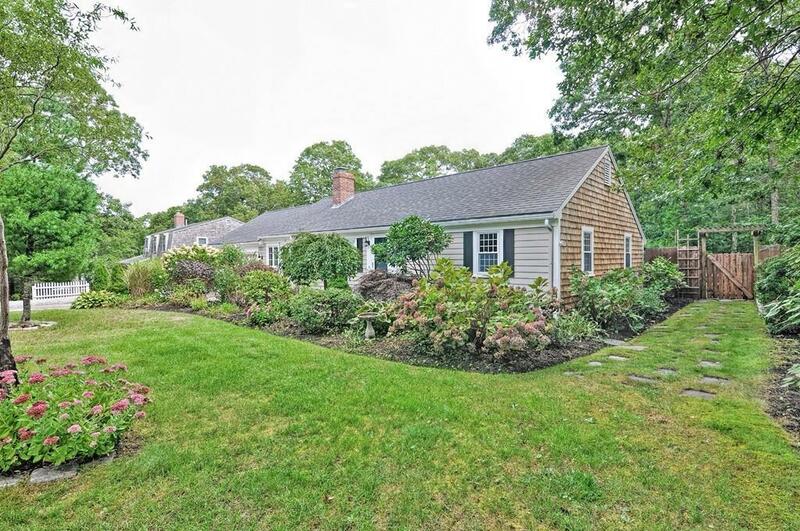 Located in the quiet and Highly-Desirable Blue Rock Resort Neighborhood, just blocks away from 2 Golf Courses (Blue Rock & Bass River), & minutes to either Nantucket sound and Bayside beaches. This Beautifully updated ranch sits on a large, level, private lot, with a 2-Car Garage. Inside, the main floor consists of Hardwood flooring, an updated kitchen w/Stainless Steel Appliances, and large living room with Fireplace and built in Shelving, an Updated Bathroom, 2 large bedrooms, and an additional breezeway/mudroom that would be a great computer/sitting area. This home also includes Central A/C, Natural Gas heat, replacement windows, a newer 30-year architectural roof, and so much more. Easy to show, make your appointments today! !